There's really nothing quite like a panoramic photo. When you look at a landscape or city skyline that's been skillfully shot and stitched to create that super-wide vista, it's almost as if you could just walk right into it and make yourself at home. To really get the full effect, though, it needs to be hanging on the wall behind your sofa, above your desk, or gracing the waiting room of your office. The bigger, the better. For the average photographer, and that includes most professionals, creating even small panoramas prints is an arduous process, and large ones are all but impossible. In short, printing large-scale panoramas is best left up to the experts. With the vast array of printers to choose from, wouldn't it be nice to find one that could provide beautiful prints of your work in almost any shape and size, get the colors right and even give you same-day turnaround on most orders? 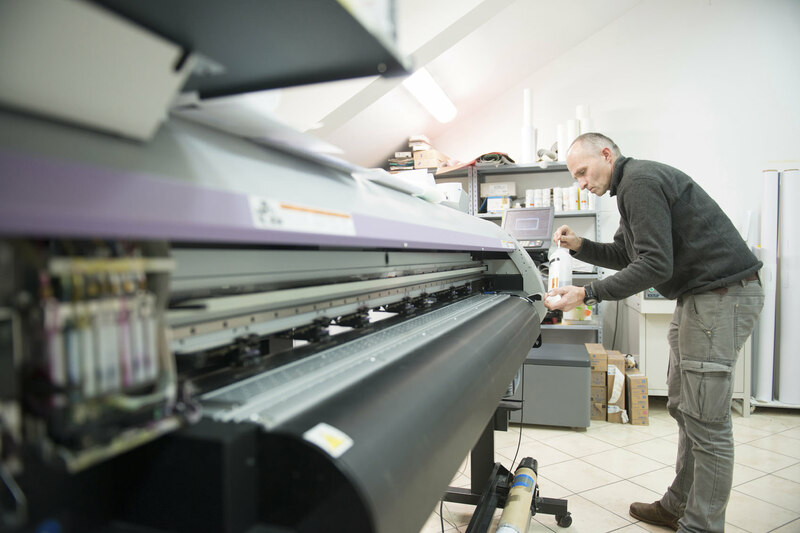 There is one, called PerfectPosters.com and in addition to having the facilities and skills to do the job, they employ a unique, straightforward approach to printing and delivery that you'll find refreshing. Let's start by looking at size. Most of their printing options are available for anything from 5” x 7” up to 40” x 96” (Yep, that's a full 8 feet wide!) and they'll custom crop sizes throughout the range. Now, for quality in images of that size, you're going to need very high resolution files and you can upload up to 300 MB at a time. Speaking of uploading, here's how simple their operation is: You start by giving them an email address as your user ID and in return, they immediately give you a directory on their servers. You can password protect it if you like. You upload the files you might want to print, in a wide variety of formats, including PSD. Click on a thumbnail to open a file, use the online editor if you like, select the medium and printing options, specify the size and add the item to your cart. Throughout the process, you'll be given helpful tips as well as warnings, such as when your image might be blurry because of low file resolution. It's quick, easy and intuitive. You can also check the price, turnaround time, shipping options and more via a simple menu below the interface while you're working. Don't like the way it's working out? Cancel the process. Want to replace the image file? Delete it from the directory and upload another. You have full control over the files via a surprisingly simple, no-frills environment. When you're ready, check your cart and checkout. It's that simple. The selection of media includes several paper options, mounted and unmounted canvas, framing, and Gatorboard mounting and the online editor includes some interesting and unusual effects, including a customizable calendar. By the way, did I mention that the site includes an extremely informative FAQ and other information to help you understand how to process your images for the best printing results? Obviously, Perfect Posters is a great way to print more than just panoramas. Here's the part that will really appeal to you professionals: They'll blind drop ship your orders to any address you specify, so it looks as if it came directly from you! This is full-service printing. There's much more I could tell you about them, but it's much easier just to tell you that you can open a no-risk account without spending a dime and check it all out for yourself. In fact, if you sign up right now, they'll drop $15.00 in your account to use on your first order! That's an offer you won't find every day! Check out this truly different online printing resource today. I think you'll agree that it's the closest thing to having a print house in your garage.